Heading north past the bridge, there is one road about a mile and a half north of the bridge that will take you to the west side (or the back side) of the island. 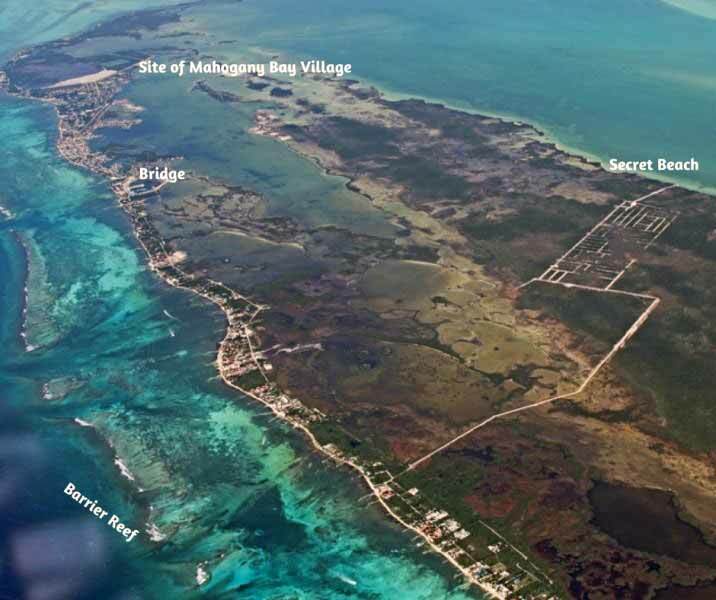 It takes you from the reef side to a limestone area with small trees and mangroves with an occasional off the grid house. You take that road about three miles until you hit "Secret Beach" on the west side (leeward) of the island. Great swimming in clear calm waters less than 4-5 feet deep, sandy bottom and sand bars. Posted : Marty Casado - Fri, Sep 1, 2017 1:08 PM. This article has been viewed 5526 times.